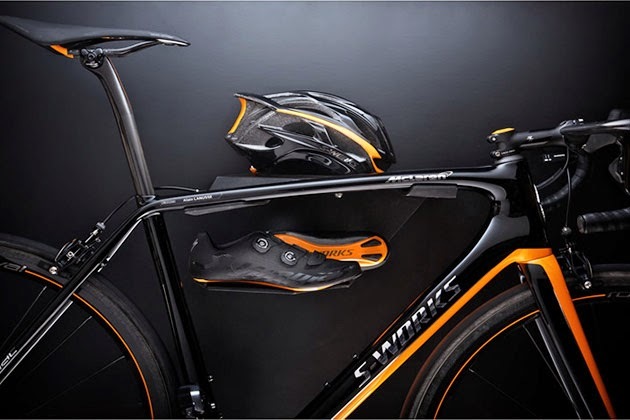 The S-Works McLaren Tarmac is more than just a bike, it’s a partnership in seamless technical collaboration. It’s a tailored experience dedicated to the process of perfection. Developed exclusively with McLaren, no detail has gone untouched. The new Rider-First Engineered Tarmac has created a new standard in bicycle development. 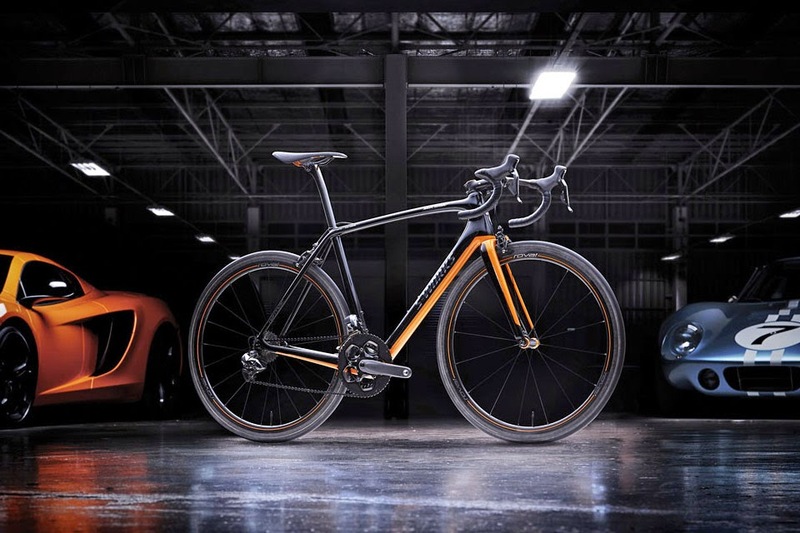 Building upon that platform, Specialized and McLaren teamed up to raise the bar of complete bicycle performance. 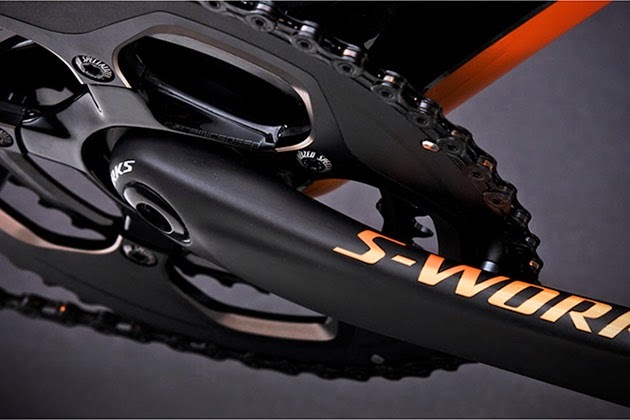 Utilizing McLaren’s vast carbon fiber expertise the S-Works McLaren Tarmac frame and fork feature a unique carbon layup schedule that has resulted in a 10% weight savings over the standard S-Works Tarmac. Like the frame, the crankset, custom AeroFly handlebars, and CLX40 carbon tubular wheelset all benefit from a new carbon layup that ensure both complete performance and maximum weight savings. Rounding out the package is a custom colorway, co-developed with McLaren and painted in their exclusive McLaren Special Operations Center in Woking, Surrey UK – the same location where the $1.2 million McLaren P1 supercar is painted. 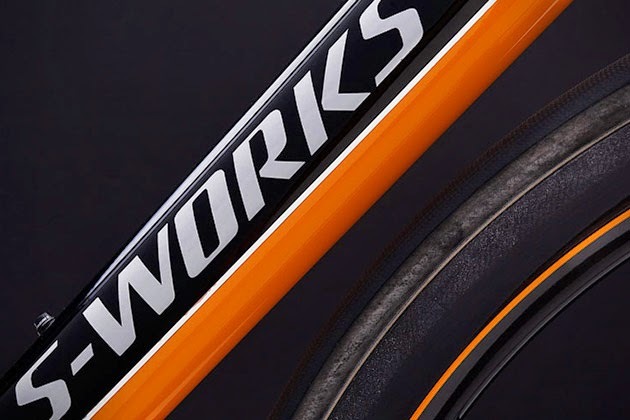 Only 250 S-Works McLaren Tarmacs are slated for production worldwide and each highly limited bike comes equipped with a pair of custom made S-Works Road Shoes and an S-Works Prevail helmet, both painted to match the frame. 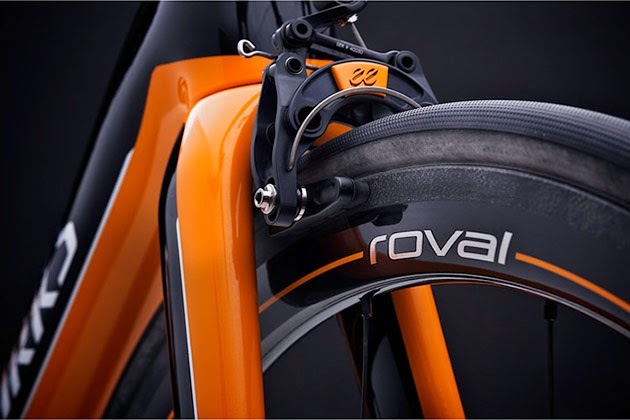 Additionally, every S-Works McLaren Tarmac will be built to the individual specifications of the rider based upon the included Body Geometry Fit consultation for a truly personalized experience. The S-Works McLaren Tarmac – a partnership in excellence.